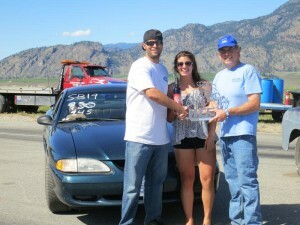 A Ford Mustang shoot-out took Penticton, BC’s Owen Fairweather to the winners’ circle over Osoyoos’ Tim Hiebert. 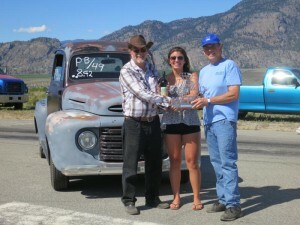 Cliff Meeds’ debut in the Pro Bracket took him and his ‘49 Ford Truck to victory over Shana Cachola and her ’72 Nova. 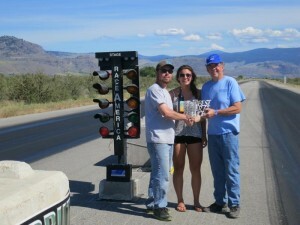 Both participants are from Oliver, BC. 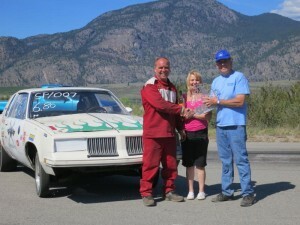 Oliver’s Chip Sabyan (’84 Oldsmobile) drove past Oroville, WA’s Ernie Bartelson (’51 Chevrolet). 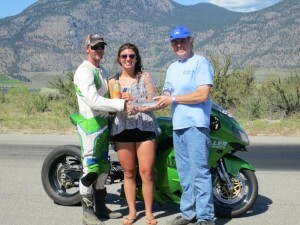 Warren Brown, of Oliver (’02 Kawasaki) stayed on top of victory mountain, beating Summerland’s David Lee Madson (’03 Arctic Cat).